Okay so Belarus was hands down the most fun I have ever had traveling for a gig. 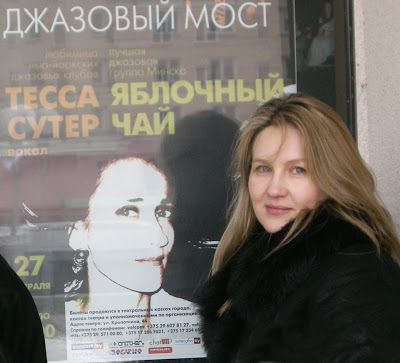 I got to hang out with one of my very dearest friends (Essential Sue) and made some new ones (including Inga, who brought me out there and made it such a success), played with an unbelievably excellent band, taught a master class at the Belarus Academy of Music — my first! — drank lots of Soviet champagne, and had a string of amazing, mostly sold out gigs, playing for wonderful, appreciative audiences. What’s not to love? 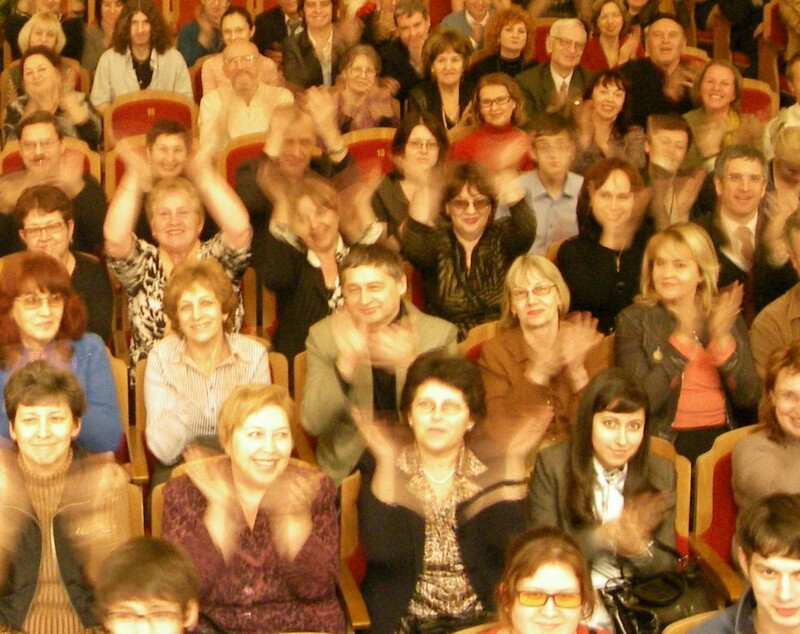 The picture is of my first concert at the Belarus State Theater — photographed by Yuri Dudinski from the US Embassy. My friend Selene had managed to find a number at Aeroflot with a human being on the end. A stern human being. At Aeroflot. Who said there was NO WAY ON EARTH they would hold the gate and of course would not give me the number. But pleading tearfully for her to call the gate herself and tell them I was nearly there worked. When I arrived, I ran up to the gate with my arms and legs sticking up all over the place and they closed the gate behind me. Yikes. Thirty people were not so lucky and missed the plane. Then, of course, we ended up sitting on the tarmac for two hours waiting for permission to take off. This made me late at the other end, where Bellavia (the national airline for Belarus) — after a phone call from Inga — actually held the plane on the tarmac for 20 minutes and sent a bus just for me to take me out to it. She’d told them we had all these sold out concerts that I couldn’t miss, which absolutely explained the mysterious extra special treatment I was getting — people scrabbling to help me carry my bags and being super nice … you know, like I was Elton John or something. 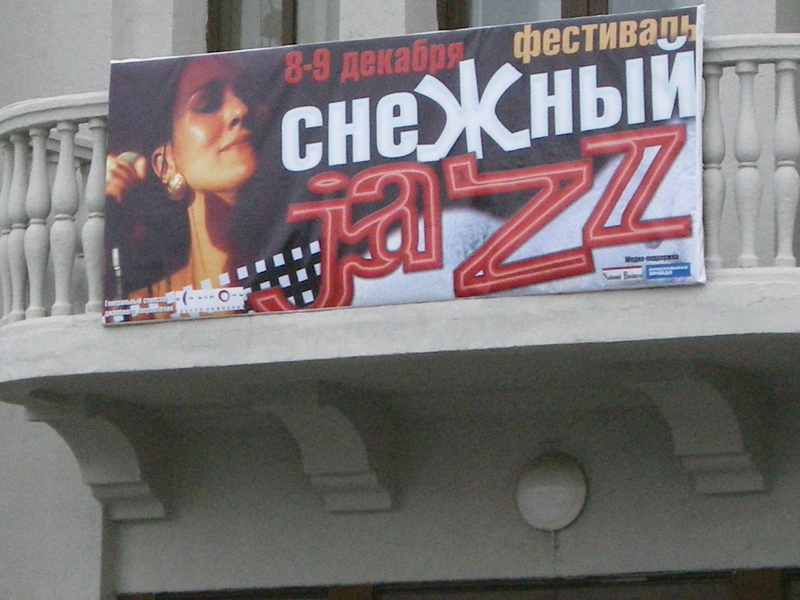 Here is a picture of Inga standing next to the poster she made for our first concert at the Belarus State Theater. By the way, did I mention how ridiculously beautiful all the women in Belarus are? The audiences everywhere were amazing. Many came over and told me that they had been moved to tears. 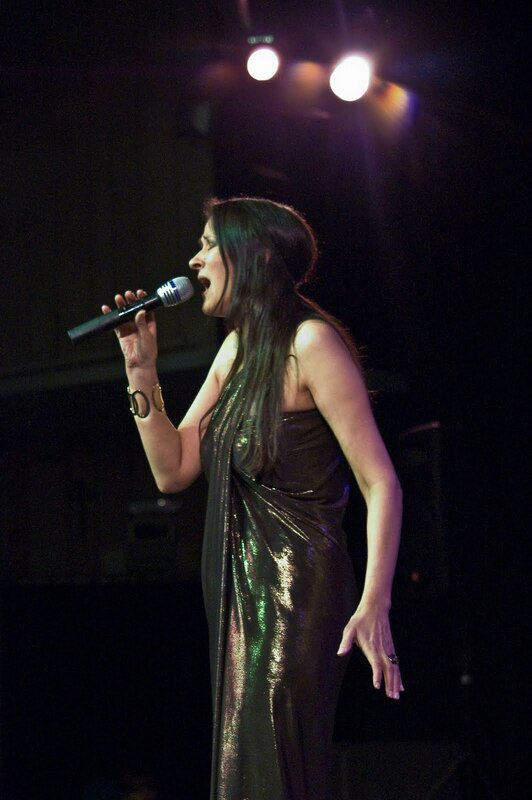 One boy said: “Your music makes my heart sing with emotion!” And an older man turned to Inga in tears and told her: “She sings of the love I never met.” Profound. We got a standing ovation that night. 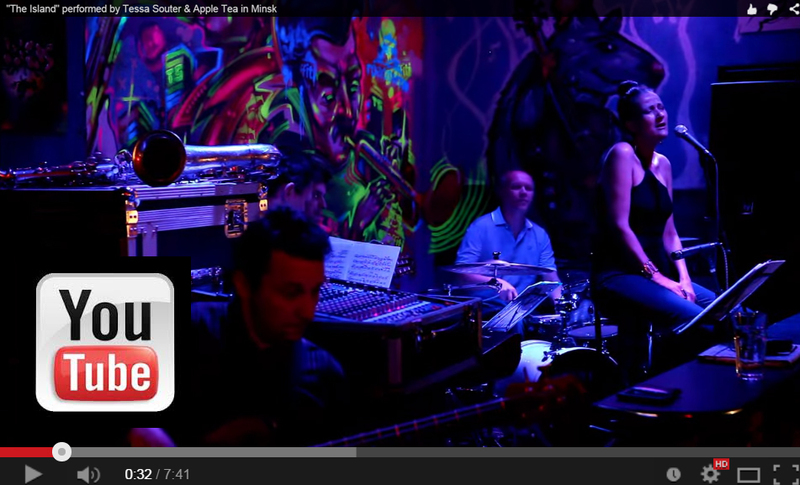 The band, Appletea, was extraordinary — even though we were a septet and could have been an unholy mess. And there were so many young people there. I think maybe because the education system is so excellent so they are very sophisticated listeners. Here is a picture of the wonderful 17-year-old, Elisabeth, who speaks perfect English, which she learned from the Internet, sold my CDs and was generally indispensable! Note fab t-shirt which Inga had made. That t-shirt has my face on it! 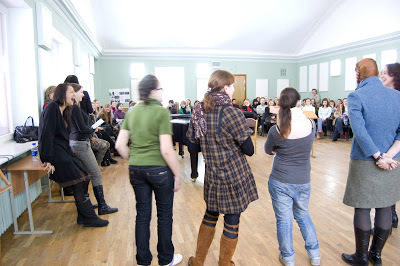 Speaking of young people, the students in the master class at the Belarus Academy of Music were fantastic. Not only did I hear some wonderful singers, but they were so deep. One young woman gave me a beautiful interpretation of the meaning of Summertime, when I asked her to tell me what the song was about to her. She not only talked about the horrors of being a slave but imagined how a slave mother would feel singing to her baby who was going to grow up to be a slave. 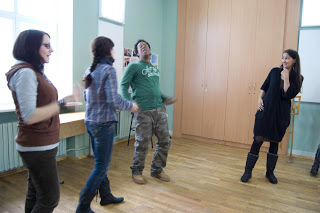 But, of course, Russia has a tough history so it’s no wonder its people are so soulful. And there was so much raw talent in the room. It was very exciting to witness. 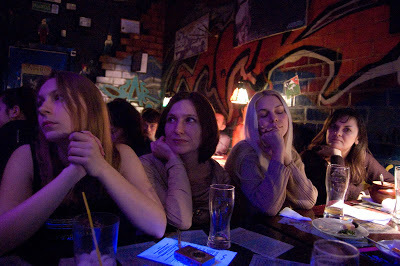 The next two nights — Sunday and Monday — we played at a little club called Graffiti, where the crowd was even younger and just as attentive — in spite of much Soviet champagne and vodka (“It is Russian tradition!”) and where it was so sold out the owner had to give us the second night for the overflow and still people couldn’t get in. I absolutely have to go back! Even the smoking was bearable! The teeny club, Graffiti, was kind of like the 55 Bar, only a much younger clientele. And instead of wine and beer everyone was quaffing Soviet champagne (delicious!) and vodka. The tables in rows in front of you were where all the young people were sitting, looking super attentive and dreamy (okay, some of them were kissing!). And then at the back near the actual bar, where the videographer managed to squish herself in, was where the talking element sat. But it wasn’t too bad actually – from the stage, that is. Listening to the video, it isn’t ideal where the camera was. And here is some video of the second night — us doing The Island by Ivan Lins and the Bergmans. I think there are more videos to come. Also, I must chop the first concert video into separate tracks because I have that too and there is no talking. More please! Next stop … Moscow!